On behalf of audie61 and the crew we extend our deepest sympathy to our Sarawak CM and the family on the loss of Puan Sri Laila Taib wife/mother/grandmother/mother-in law. Laila, 68, is survived by her husband, four children, including Deputy Tourism Minister Datuk Seri Sulaiman Abdul Rahman, and 15 grandchildren. She will be laid to rests at the Demak Muslim cemetery. May her soul rests in Peace. Call it a “Shake-Up” “Political re-alignment’ “Re-organisation” of PKR Nationally but in Sarawak it will still and remain the BN bastion. The people have spoken and the people have rejected PKR eventhough there was a lot of Hoo-Hahs. There were also significant numbers reported that many have turned their backs on BN. But did it happen when it really mattered? The re-organisation is expected so says a Divisional PKR member who has been with the party since its early days in 1999 as the people who were responsible for Batang Ai did not deliver and it was a rather futile effort on PKR. Losing is alright but losing the WAY WE DID when we are divided in the seams is bad. The thousands who joined where were there? We needed them or are they just playing watching from the sidelines? It just cannot be figures as window dressers.This is politics and its the numbers game. He even says that it will take Anwar and PKR many more years still to wrestle Sarawak if this continues to happen. A management committee in the offing to guide Sarawak? Meanwhile PKR Stampin Division Chairman See Chee How said that the Shake Up as we put is that the party needs all its political maturity, management and awareness to realise its FULL POTENTIAL. Unless if we work as a TEAM and all petty internal political issues are addressed and defined Sarawak PKR will stay stagnant. We need more spine and we need to pick it all up from the ashes. Just Like a Phoenix. Tough,Hard Work,Sincerity but of course Achievable says See Chee How. Malaysian Innsider has this ARTICLE headlined ,”Anwar prepares PKR for long battle with Najib’s UMNO.” So where does this leave Sarawak PKR? Adit supposedly to lead the charge of PKR to win the rural seats has been dropped but there are new faces in Paul Kadang in the disciplinary committee and Baru Bian as Assistant Secretary General. Dominique Ng and Hafsah Harun remains as Supreme Council members. There is a strong undertone of Sarawak paying the brunt of the failure in Batang Ai. The controversy surrounds three main pointers in the post mortem which will leave a bad taste in the mouths of some but its the reality of losses twice doubling that achieved by Nicholas Bawin against an Assistant minister in the late Dublin Unting. 1. The Hidden Hand which promised so much but did not deliver as expected. 3. Dis-organisation of party machinery due to internal disputes regarding candidacy where TEAMWORK was absent. PKR has to be accountable and they need to face the reality in Sarawak. Its not a small state unlike in Peninsular where Bloggers have been a much needed help to Pakatan. Ask any Barisan blogger who was here in Sarawak during the Batang Ai campaigning period and they will tell you how difficult it is and the differences in methods of campaigning. Rural Sarawak audie61 has said that Helicopters provides the edge and it will remain that way unless if ………..complete my statement. A former journalists told me the people have made up their minds and will vote for PKR come the State elections Helicopter or not. But I will maintain my stand that he is dreaming like many others.Sure,dreams will come true but in politics its not just dreaming but working DAMN BLOODY HARD. Grassroots of PKR matters and they need to be INSTTUTIONALISED to be a party member and not only joining a party for positions and involve in factional political infighting. Will PKR Sarawak turn over the STONES that has been too long embedded on the ground? Will the familiar faces be asked to take another look into other roles? Will Anwar know what is bests for Sarawak? Muhyiddin will take a swipe nonetheless on Anwar if not tomorrow it will also be another day. Try, as he may but Anwar and his PKR team needs to encamp themselves in Sarawak. Its never easy but Sarawak will stay a fortress for BN for many years to come still. Will it not? Not Unless Sarawak voters wake up with a BAD HEADACHE…?? One wonders what would have been if not for watching a most amazing comeback on the television set in the game between Manchester United and Tottenham Hotspurs. 2-0 down and second half blitz 5 past Spurs. Wow! Pulsating! Unbelievable! Mark of the Champions! Never say die attitude! Never give up,Never Surrender! All the remarks and accolades from the commentators.This is what we see and what sets it so different. Did you stay up and witness it..??? The first newspaper page which I turned to today without reading the tabloids headlines was the Herman Hermits column,” Read any good books lately?” Also the writer can be found here http://hornbillunleashed.wordpress.com/2009/04/25/to-3-in-1-minister-go-eat-cake/ I did not particularly pay much attention but just glanced through it. How ironic that this would have led me to turn to my book.I have left it IDLE AND MOTIONLESS on the sofa as I was too busy reading blogs and news that matters. Page 43 of the book which I am reading TREASON which describes Traitors,Conspirators and Guardians of the Chinese Empeor in1728.The Governor General said this in on this page in question,”So,what fine books do you read.? What important topics do you study. ?What special coterie of friend do you consort with.? Just then ‘Sunshine” appeared. Sunshine is my Labrador and he has been a special dog to me as he brings happiness at the break of dawn each morning. Sunshine has filled the void left behind by Faithful my Great dane who was poisoned by would be burglars. He remained faithful and fought for seven long days to stay as my faithful friend. I was always chasing the rainbow or “rat race” they say,”wine ,women and song” but today nothing beats this,’Blogs,Books and Dogs”. These three dont talk back to you but you talk to them. Blogs you read and try to understand their contents,books you read about what has been and what will be and imagine that you are the author and see what he is telling us. Dogs will look at you and wonder? Master I know ,but I cant talk back. WOOF…!! WOOF..!! What if the dog does? Dr.Doolittle is it? Isn’t the blog world interesting? Seems the Information, Communication and Culture Minister Rais Yatim hosted a dinner for 50 ‘prominent’ socio-political bloggers at a local restaurant in a move to engage the New Media. Did he succeed or was it just the BN friendly bloggers? Don’t run away from the fact that engagement is better off as the blogsphere now is made of of millions of opinion wirters and intellectually gifted cyber warriors. We can try to poison the minds of the people with what we write but the TRUTH WILL ALWAYS PREVAIL. Todays Star newspapers which was handed to me a moment ago ,Najib takes a trip on LRT” Why is he doing all these? Wasn’t he the hatchet man or the yes man as No2 to Abdullah? He is trying to show us the he means what he says.He is also trying to feel like a Citizen. Isn’t this good public realtions when our PM does that? Are we so judgemental that we don’t give him a chance with trying to rid of his mistakes? Bloggers are opinion writers and the netcitizens will more than likely believe us rather than the Mainstream Media now. PM Najib as a leader and CEO of Malaysia is trying to put his right feet forward. Najib likens himself more or less to his favourite team Manchester United in the 2nd half of the game where unbelievably they did the impossible by getting the result of the weekend. Najib in his capacity as Prime Minister will not want to fall like PINBALLS if he steps up to call for a General Election. Past wil correct itself if he atones and leads his people out of the ECONOMIC WILDERNESS. Oooh Malaysians..? Aren’t we forgiving..?? Have we forgotten so quickly..?? Anwar Ibrahim was also part and parcel of UMNO and today he is the leader of the opposition. STOP HERE MOMENTARILY THOUGH AND THINK…HUH..!! CONFUSED….Where there are checks and balances the COUNTRY will PROSPER and BE HEALTHY. It goes without saying that we are fortunate enough in Malaysia today to see two able politicians in Najib and Anwar slugging it out to maintain the right to be part of HISTORY BOOKS in years to come. Some of us are already or have read about these two LARGER THAN LIFE POLITICIANS. Najib might not have Bo the Portuguese Water dog like Obama US President but he does maintain an avid reader and he maintains his close companionship with his books. He writes in his blog too and the stark reality of it all is that he needs his STAR TEAM players to think and do like him and not otherwise. So what did Sir Alex Manager of Manchester United say which turn the whole game on its head? What does Najib need to do to restore the countrys economic woes? We hope Najib does pick a point or two from this Scottish Manager made good. He was as good as History if not for that moment of destiny. This article which I came across while writing this”We have to try and figure out which parts of the intellectual and theoretical framework in finance and economics will remain relevant in the future,” Economists and business-school professors are struggling to analyze the financial collapse and build new economic theories to replace those undermined by events. That is a process that will take years. The final jigsaw which remains the missing piece is the Braindrain from Malaysia. Najib and his adminstration will need to work harder than ever to ensure that Malaysia remains competitive and viable and that Malaysians can still call this country a HOME. My uncle who is a Priest said to me,”If you ever want to be a politician make sure that every graduate is given a job that suits their qualification.” If not forget about it. He graduates from Gregorian University and speaks nine foreign languages and is fondly call as the Minister of Development of Catholic Churches in Sarawak. Once a week when time permits I will sit down with him to seek spiritual blessings or tap his mind on “SOME POLITICS” hmmm. Afterall the Vatican is the biggest spiritual “political”organisation in the world. Don’t you agree..? We say as always,”Many will not know and understand WHY BLOGGERS do what they have to do. Their inner souls give them the strength and determination to WRITE FOR THE NET CITIZENS of the WORLD. 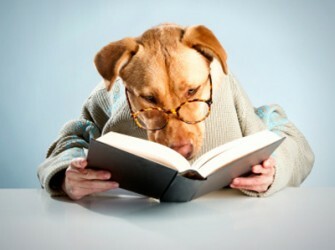 They know they cannot replace BOOKS or DOGS or the HUMAN BRAIN. But WHY do they still do it..?? Does Najib,Anwar,Zorro or Raiz Yatim have the answers..hik hik hik?? This article appeared in the local English daily today. KUCHING: The contribution of bloggers in Sarawak to promote the 1Malaysia concept will be limited should the government continue to restrict their writings. Blogger Dr John Brian Anthony said he could not see how they can respond positively to the call by the government to promote the (1Malaysia) concept if their contribution were curtailed. “I fear that many of our comments would be restricted by the authorities if they think we ‘go overboard’ on the matter,” he said yesterday. Nevertheless, he did not mind promoting the concept as long as it kept to its main aim, said Brian who writes in the style of dayakbaru in the Internet.“The concept must also encompass the democratic principle of check-and-balance,” he added. Brian, who is Sarawak Dayak National Union (SDNU) publicity chief, said the concept must take into account the interests of all ethnic groups and not just a few major races otherwise it (concept) would be interpreted as “one-sided”. “I am struggling for social justice and equal opportunities in terms of economic and education in Sarawak,” he said. “If we bloggers write with too much ‘passion’ — especially on issues deemed by the government as sen-sitive — I am sure they would not be happy with us. We might as well not write about the concept at all,” he said. He said this when asked to respond on the call by Minister of Information, Communications and Culture Datuk Seri Dr Rais Yatim to work hand-in-hand with the bloggers on the matter. On Thursday, Rais had a meeting with bloggers where he told them to use facts rather than rhetoric and incitements in their writings through the Internet. Brian also pointed out that should the concept deviated from its original intention, which include tolerance and respect, the government would fail in realising 1Malaysia. “Development and progress should benefit the society at large. The government is entrusted to ensure this. They are not given the mandate to do all things based on what they (government) think,” he said. “Peace, harmony and stability are all meant for the people. People put up the government which can provide all these,” he said. The slogan ‘One Malaysia, People First, Performance Now’ is the main theme introduced by Prime Minister Datuk Seri Najib Tun Razak when he took the office on April 3. Najib pointed out the concept demanded that people respect one another and also practise tolerance. Another blogger Audie Chua said he agreed with Brian. He said if the government wanted bloggers to help in promoting the 1Malaysia concept, then it must be practical. “There are all sorts of opinions and comments as there are many bloggers. But if the government acts positively, I am sure the bloggers will be ready to assist them in any issue by writing positive views. “What is important is that the concept must ensure that no ethnic group is lagging behind others in mainstream development,” he said. On the other hand the people must appreciate the 1Malaysia concept to make its implementation a success, he said. Future”Dustbin” East Malaysia’s CM Prerogrative..?? Well,well,well isn’t this opening another playing field for elected BN assemblyman IN WHOSE NAME they can hold on to Positions in the State Assembly BUT DOES NOT NEED TO BELONG TO ANY POLITICAL PARTY. Correct me if I go a bit side track here..Am I waking up to an independant friendly BN new system? It seems the two East Malaysian States of Sarawak and Sabah are practising this policy very openly. Doesn’t the CM of both states have the power to force his hand on the individuals? Or are their HANDS FORCED OTHERWISE? We are of course talking about two prominent Chinese assemblyman in Sarawak and Sabah. We had earlier written on April 8th 2009″Next Please…Reshuffle in Sarawak Cabinet” and it seems the mainstream media and journalists have picked it up to and asks Larry Sng on this subject matter. A lot of speculations and there are even PROPHETS OF DOOM who have even said that Larrys days are numbered and counting his days in the CMs office. At least its so much better than the writer who wrote to Malaysiakini when he ended his letter by saying DCM Raymond Tans political future is clearly heading towards the dustbin. Adding more salt the writer said this,” When Sapp pulled out of BN last year and Tan quit BN, he said that he would form a new party. Until today he has remained an independent. Why then is Musa retaining him? Is this not double standards? Musa once said that there is no such thing as a ‘BN-Independent’ and today in his cabinet there is a ‘BN-Independent’ who also happens to be his deputy.This shows that Musa is unprincipled and biased. In the blogsphere this is more or less repeated and now it has really hit the main stream media and the news coverage is doijng no favours for the BN. The PM is already talking about reforms and other niceties that comes along in Malaysia but the two East Malaysian states is still covering up the old habits. Haven’t we heard that OLD HABITS are Hard to GET RID of.? I’m sure if Najib was the PM when Joseph Salang was the independant BN he would have done more than something. We are not asking the PM Najib to whip up miracles BUT to use his LITTLE FINGER to put things RIGHT. Well Chin has also said,” He reiterated that even though it is the prerogative of the chief minister to decide on the matter, he should consider the feeling of other BN component parties who hold the same view that the BN-led Sabah state government can not have a deputy chief minister who is an independent assemblyman. It seems that these subject matters are similar and as we mentioned we were under full scale attack the response is mutual. We have declared WAR on this issue. The earlier that this matter is looked into the New Malaysia 1 concept of our PM Najib will have loopholes for water to seep through and eventually drown BN. It’s not only about administering the country in totality but putting back the trusts to the PEOPLE and gaining their RESPECT. BN needs to try at least to get back their RIGHTFUL THRONE or is it so difficult to WIN IT BACK…? ?